The MasterVision 360 Gold Ultra magnetic easel is the most versatile dry erase easel available. Featuring a Magnetic steel Gold Ultra surface with a 10-year warranty, this easel includes 2 magnetic extension bars that allow you to present up to 5 sheets of paper. A pad retainer with adjustable easel pad hooks allows you to use any size easel pad. Using the ghost-free magnetic dry erase surface, write up outlines and memos or use magnets to display paper documents. This MasterVision easel is supported by a base equipped with 5 easy-glide casters that provide fully mobility and are lockable when not in use. The unit is fully adjustable, allowing you to raise and lower the height of the base and even rotate the board to a table format! The board is available in size 26 1/2" to 38 1/2". Modernize your work space with this MasterVision 360 Gold Ultra magnetic dry erase board, a unique work space display solution. This easel offers both an adjustable pad retainer and a unique magnetic steel dry erase surface, providing exceptional display versatility. 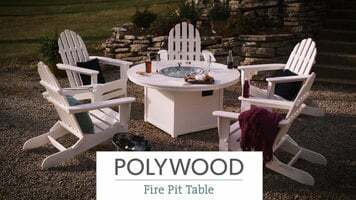 Take a tour of the Polywood fire pit table and discover how it takes your outdoor living experience to the next level! 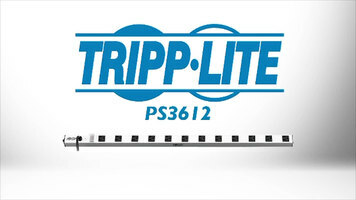 Tripp Lite's PS3612 Power Strip is reliable and cost effective, perfect for installations and building in commercial settings. The 36" strip comes with 12 outlets and an extra long 15 foot cord. For more information on the PS3612, check out the video. 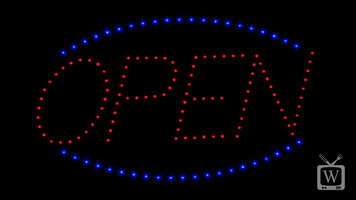 This 21" x 13" Choice oval LED open sign is sure to draw customers into your business thanks to its attractive design. Compared to traditional neon signs, this display is lighter, safer, and uses 50% less electricity!